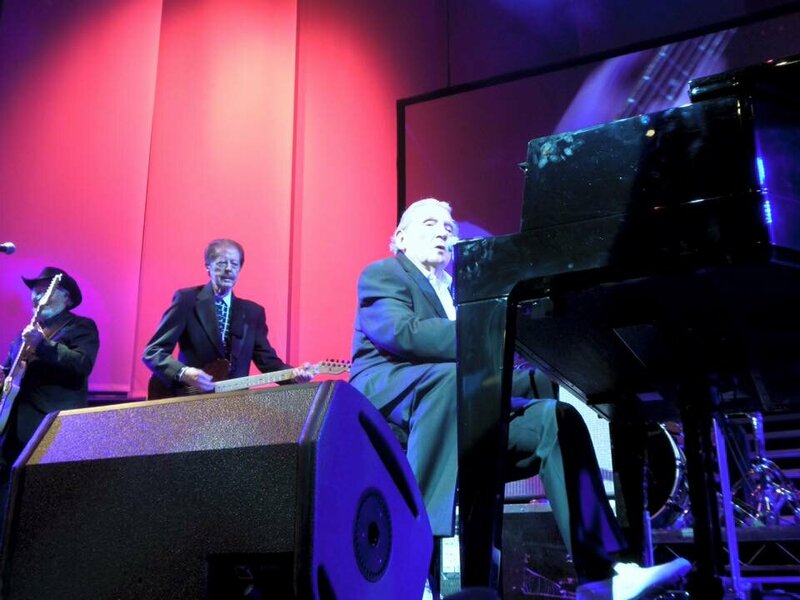 An account of Jerry Lee Lewis 80th Birthday Tour at the London Palladium by Rockin' Nidge. 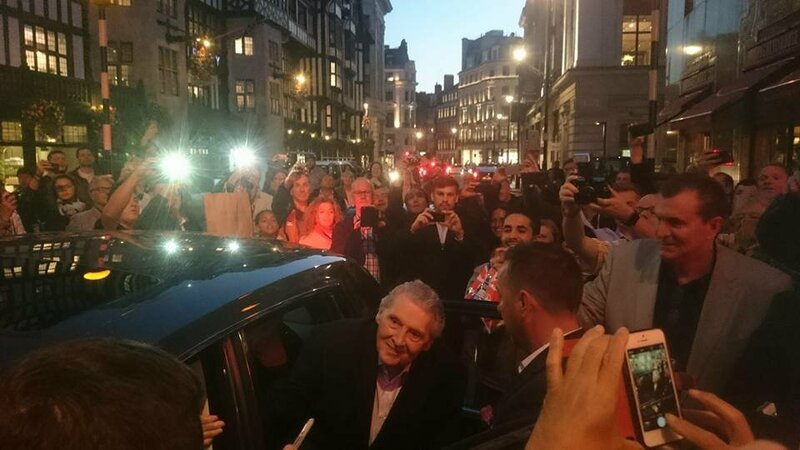 Thirty two years after I first saw my favorite Rock n Roll performer, The Killer - Mr Jerry Lee Lewis at the Hamersmith Odeon, London with a group of Teddy Boys from Leeds, I found myself back in London to see him once again. 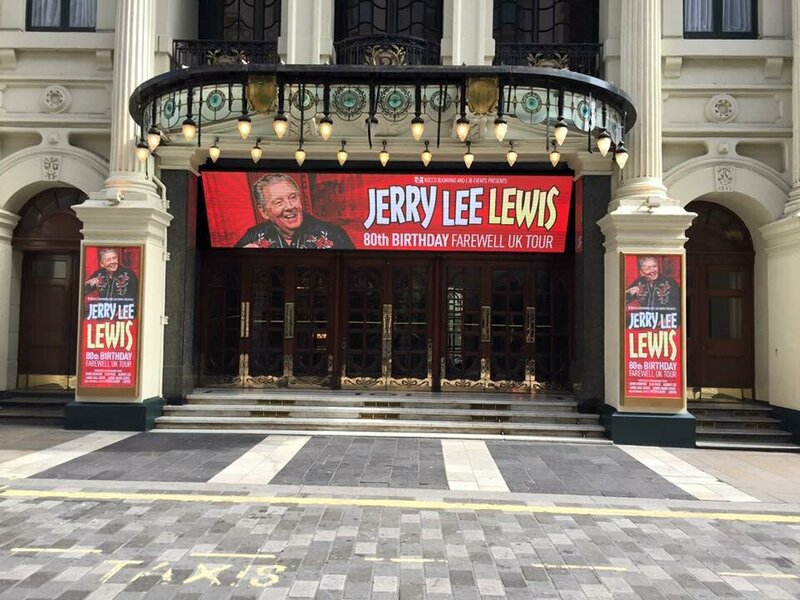 This time however, was to witness, along with my wife, Roseanne and a small group of London Teds, Jerry Lee Lewis 80th Birthday Farewell Tour of the United Kingdom which started at the London Palladium on the evening of Sunday 6th September 2015. 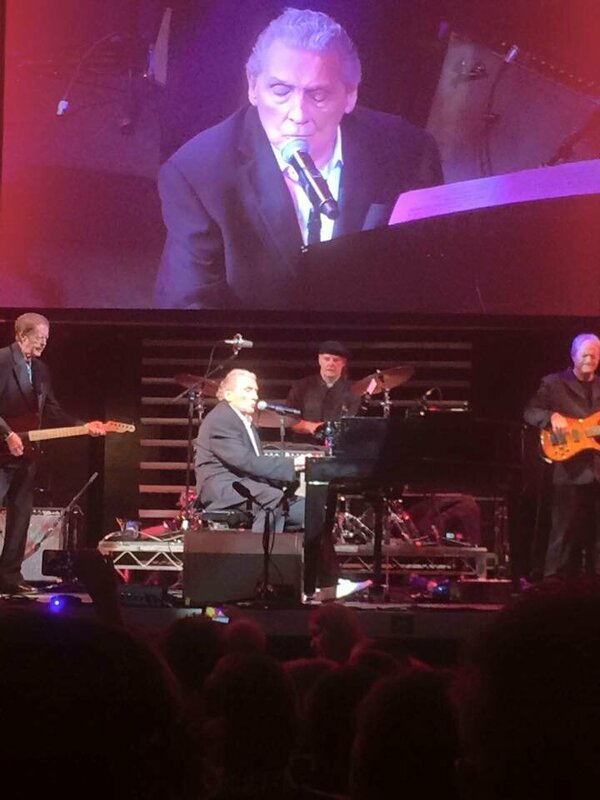 When I saw Jerry Lee Lewis at the Hamersmith Odeon in April 1983, it would have seemed inconceivable that I would be still be able to see him perform in England at just short of 80 years of age, he will actually turn 80 on September 29th 2015. 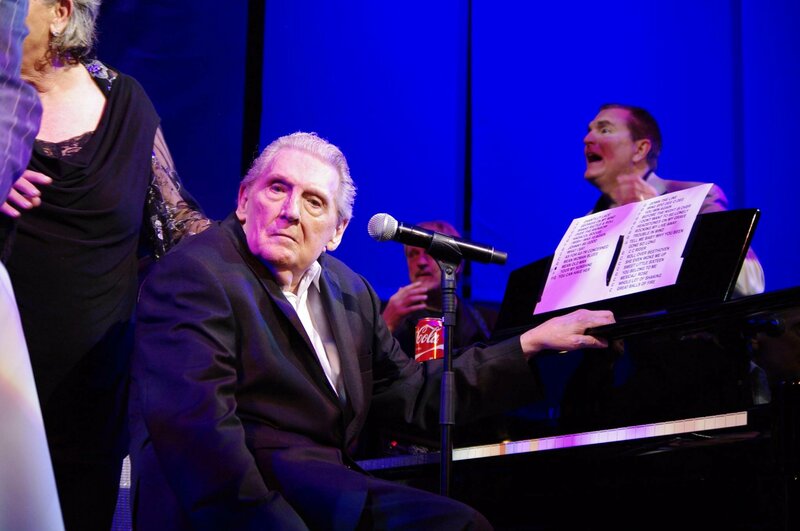 As Mike Reed, the host of the London Palladium show did remind us all, that Jerry Lee Lewis is undoubtedly "the last man standing"! I think we can all agree that out of all the original Rock 'n' Rollers, that this is most certainly the case. During the late 1950's, "The Killer" played a major part in the development of Rock n' Roll with songs like Whole Lotta Shakin' Going On, High School Confidential and Great Balls of Fire. A wild performer at the piano, he was part of the 'Million Dollar Quartet' along with Elvis Presley, Carl Perkins and Johnny Cash. Jerry Lee Lewis first toured the UK in 1958, where he famously fell from grace after marrying his 13-year-old cousin, Myra. In November 1956, 19 year old Jerry Lee Lewis traveled to Memphis to audition for Sam Philips at Sun Records, and exactly 59 years and five days later he shuffled onto a sold out London Palladium stage wearing a black suit and his trademark white shoes. During his first anecdote, Jerry Lee actually recalled his notorious May 1958 British tour when he was forced to return home after being discredited by the British press when Daily Mail Reporter Paul Tanfield exposed the age of his 13 year old bride Myra, his first cousin (once removed). Jerry Lee in fact only performed at three London venues - the Edmonton (Regal) on 24th, the Kilburn (Gaumont State) on 25th and the Tooting (Granada) on 26th before going home. 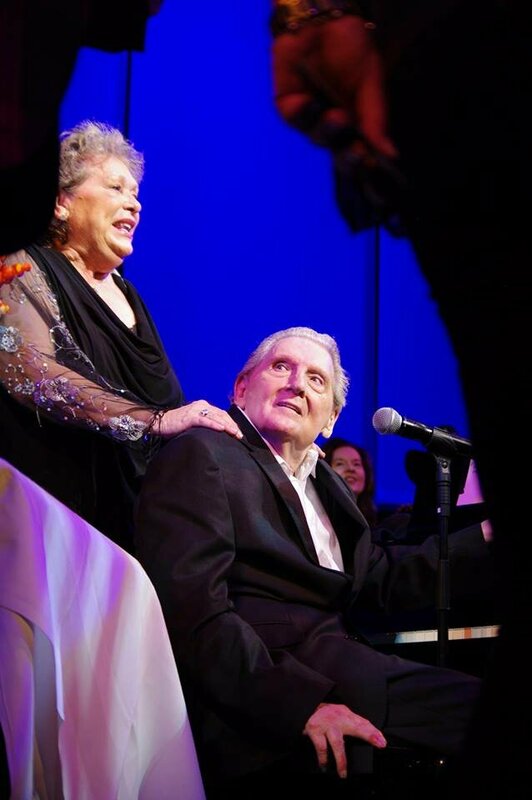 Fifty Seven years later, Jerry Lee was now in a position to chuckle about the whole escapade! He opened the London Palladium show with Stick McGhee's Drinkin' Wine Spo-Dee-O-Dee. His voice may have been a touch frail but his hands were as agile as ever. That heavy left at the bottom of the keyboard and the dancing right at the top: they were, at times, lightning. It was immediately clear that the old dog has lost nothing of his hot temper and easily provoked anger, when at one point he remonstrated with his long time guitarist, Kenny Lovelace for playing in the wrong key. He told Kenny what he would do, if he did not get his act together which had the audience cheering and laughing! There was a tremendous amount of goodwill at this show, enough to forgive the odd rambling country ballad and a few wayward melodies. Jerry Lee did comment however, that his voice was a little hoarse. 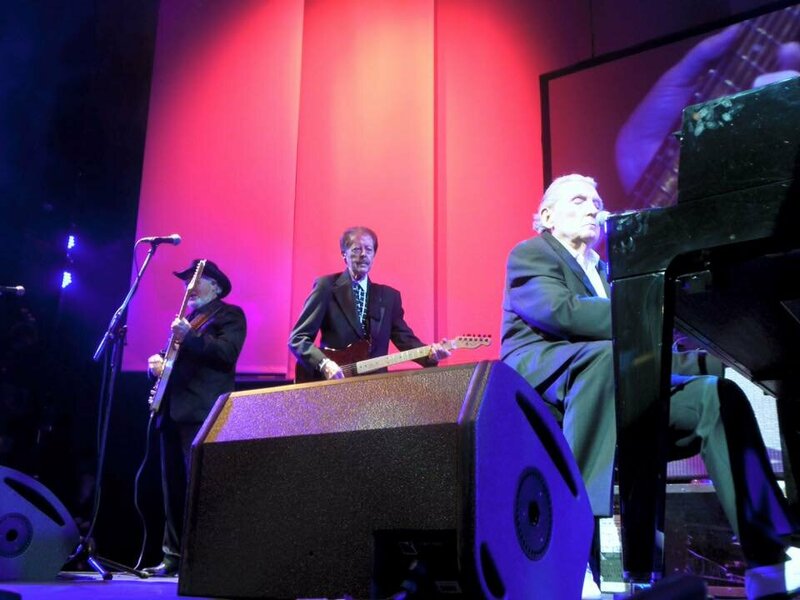 However, when Jerry Lee started to thump that piano and play his classic Rockers, like Whole Lotta Shakin, all was forgiven as he gave it all he could and put on an outstanding performance for an 80 year old veteran of Rock n Roll. 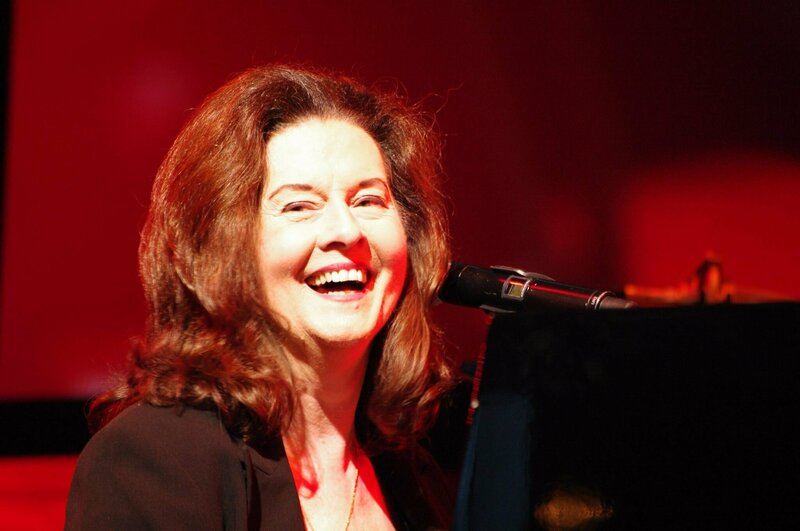 The first half of the show got underway with other artists performing and Ladyva, the Swiss Boogie Woogie piano player, who at the age of 14 was influenced by Jerry Lee Lewis, performed two great numbers. The renowned Albert Lee then played along with a number of other artists including sixties artist Peter Asher of Peter & Gordon fame, who was never a Rock n Roller, but obviously a Jerry Lee fan - least said the better! Albert Lee then played along with piano player Elio Pace who gave a good performance. 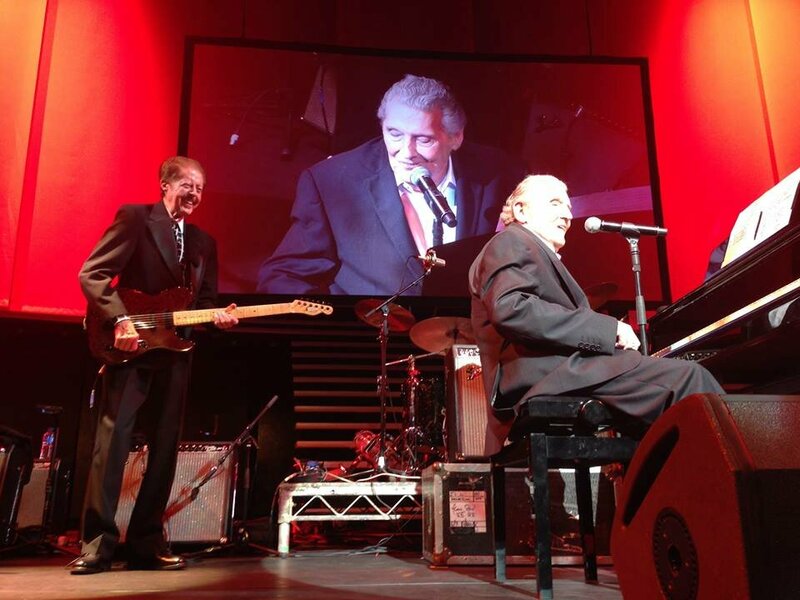 Albert then performed with the legendary guitar player James Burton who's credentials include performing with such artists as Rick Nelson where he played guitar on the majority of songs recorded during the first 11 years of Rick Nelson's career, and most famously backed Elvis Presley from 1969 until Presley's death in 1977. Undoubtedly one of the best performances of the whole evening apart from the Killer himself was by his sister, Linda Gail Lewis who has been playing in the UK for many years where she performed with her daughter Annie Marie Dolan backed by Jerry Lee's band The Memphis Beats. Linda Gail performed a number of numbers including Shake, Rattle & Roll, Rip it Up and Old Black Joe. She warmed the audience up well as she was the last act prior to the man himself. Jerry Lee Lewis played for a respectable 50 minutes. At times the evening had a distinctly cabaret feel to it which distracted somewhat from the aura of the legend on stage. Did it add anything to the evening when Mike Read told us that Great Balls of Fire, his final song, was Princess Diana's favourite, beyond the fact that the DJ was once close to her? Not really. As a birthday cake was presented at the end, Vince Eager, Robert Plant, Ringo Starr and a host of other musicians came on stage to applaud Jerry Lee. It was a shame they didn't all play together. It would have been a fitting demonstration of just how influential Jerry Lee Lewis was to both Led Zeppelin and The Beatles, and hundreds more bands since. 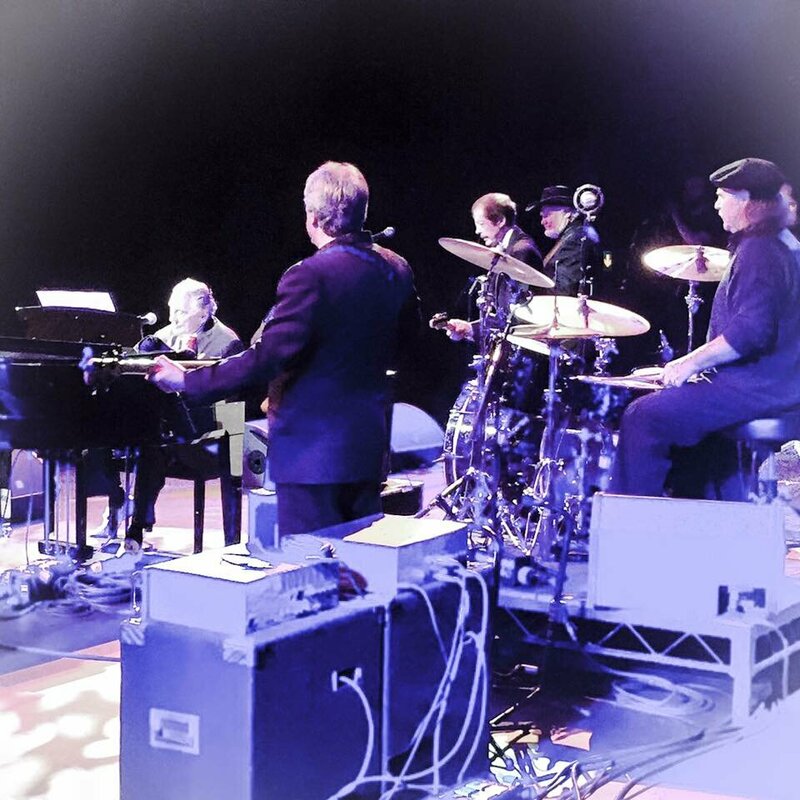 Jerry Lee Lewis remains "The Killer" and he proved that he could still nail it, even at 80 and guess what, the Teddy Boys and Girls who were there will confirm that too!